Working with teachers to embed creativity! 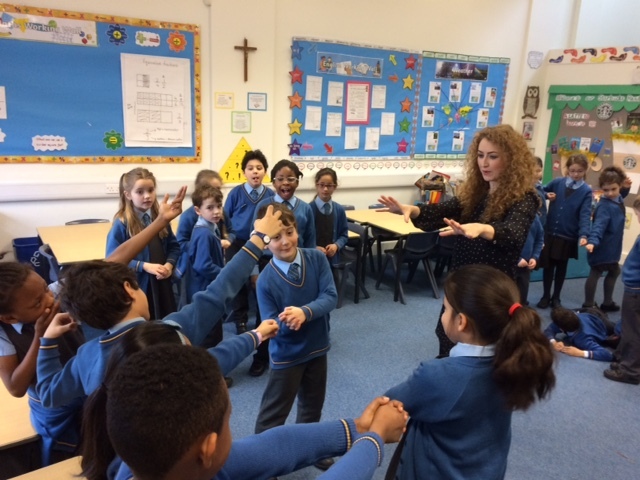 Cheryl Feldgate, one of Bigfoot’s senior facilitators and trainers, spent Spring Term with teachers from Larmenier and Sacred Heart Primary School in order to support teachers in embedding creative exercises within their everyday lessons. 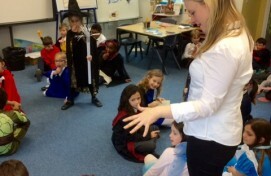 Two teachers from Year 3 and two from Year 4 were selected from the teaching staff to work with Cheryl once a week. 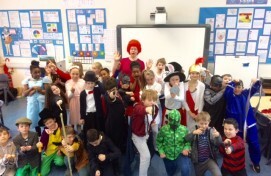 Initially, Cheryl delivered half day sessions in each class whereby she demonstrated an array of appropriately themed activities which met with the teacher’s aims and objectives of the lesson and, ultimately, term. They could then see how in practice how these exercises are facilitated, and the engagement of the students, prior to trialling it themselves. Over a term each teacher received one on one support with planning and delivering a creative alternative to usual class based activities. 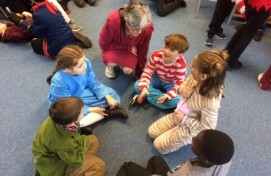 This meant that they felt able to experiment with their own delivery style, whilst their students received an exciting new approach to the topic they were exploring with their teachers. Upon completion of the ‘Creative Consultancy’ Cheryl gave detailed feedback for each of the teachers going forward, a snippet of which can be seen below.